Physicists at the University of Bath have discovered how to manipulate and control individual molecules for a millionth of a billionth of a second, after being intrigued by some seemingly odd results. Their new technique is the most sensitive way of controlling a chemical reaction on some of the smallest scales scientists can work—at the single molecule level. 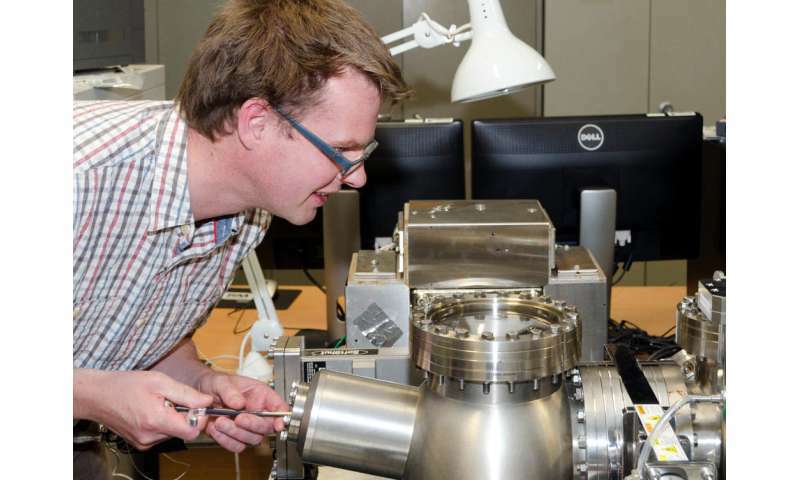 It will open up research possibilities across the fields of nanoscience and nanophysics. An experiment at the extreme limit of nanoscience called "STM (scanning tunnelling microscope) molecular manipulation" is often used to observe how individual molecules react when excited by adding a single electron. A traditional chemist may use a test-tube and a Bunsen burner to drive a reaction; here they used a microscope and its electrical current to drive the reaction. The current is so small it is more akin to series of individual electrons hitting the target molecule. But this whole experiment is a passive process- once the electron is added to the molecule researchers only observe what happens. But when Dr. Kristina Rusimova reviewed her data from the lab while on holiday, she discovered some anomalous results in a standard experiment, which on further investigation couldn't be explained away. When the electric current is turned up, reactions always goes faster, except here it didn't. Dr. Rusimova and colleagues spent months thinking of possible explanations to debunk the effect, and repeating the experiments, but eventually realised they had found a way to control single-molecule experiments to an unprecedented degree, in new research published in Science. The team discovered that by keeping the tip of their microscope extremely close to the molecule being studied, within 600-800 trillionths of a metre, the duration of how long the electron sticks to the target molecule can be reduced by over two orders of magnitude, and so the resulting reaction, here driving individual toluene molecules to lift off (desorb) from a silicon surface, can be controlled. The team believes this is because the tip and molecule interact to create a new quantum state, which offers a new channel for the electron to hop to from the molecule, hence reducing the time the electron spends on the molecule and so reducing the chances of that electron causing a reaction. At its most sensitive this means the time of the reaction can be controlled for its natural limit to 10 femtoseconds down to just 0.1 femtoseconds. Dr. Rusimova said: "This was data from an utterly standard experiment we were doing because we thought we had exhausted all the interesting stuff—this was just a final check. But my data looked 'wrong' - all the graphs were supposed to go up and mine went down. " Dr. Peter Sloan, lead author on the study, added: "If this was correct, we had a completely new effect but we knew if we were going to claim anything so striking we needed to do some work to make sure it's real and not down to false positives." "I always think our microscope is a bit like the Millennium Falcon, not too elegant, held together by the people who run it, but utterly fantastic at what it does. Between Kristina and Ph.D. student Rebecca Purkiss the level of spatial control they had over the microscope was the key to unlocking this new physics." Dr. Sloan added: "The fundamental aim of this work is to develop the tools to allow us to control matter at this extreme limit. Be it breaking chemical bonds that nature doesn't really want you to break, or producing molecular architectures that are thermodynamically forbidden. Our work offers a new route to control single molecules and their reaction. Essentially we have a new dial we can set when running our experiment. The extreme nature of working on these scales makes it hard to do, but we have extreme resolution and reproducibility with this technique." 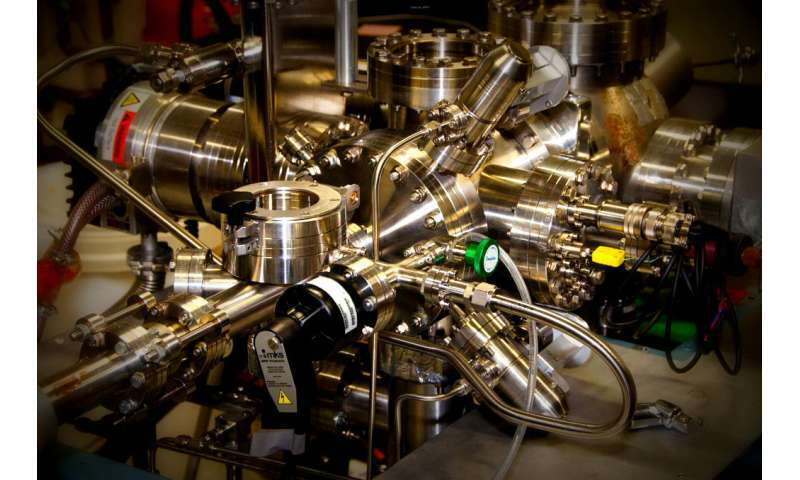 The team hopes that their new technique will open the door for lots of new experiments and discoveries at the nanoscale, thanks to the options that it provides for the first time.